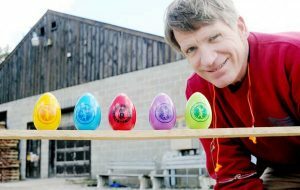 W ith Easter Monday drawing near, many families and Washington observers are asking about the status of this year’s Easter Egg Roll. Journalist Tim Burger, writing in Town&Country, interviewed Wells Wood Turning about our involvement in the event. Certainly, we are willing and eager to supply the wooden eggs again this year.